Listening is hard work. It requires you to be present in the moment, attentive to all that's being communicated verbally and nonverbally. Such active presence also allows you to ask relevant, thought-provoking questions that clarifies and dissects what's been said. It requires you to have patience to allow the conversation (dialogue) to develop and to allow thoughts to be processed. Listening cannot be rushed, it takes time. You can't listen well on warp speed. You have to slow down. You have to make room on schedule which means that you may have to set aside other things. Listening is demanding. It wants all of you. It doesn't allow you to think about your to-do list, upcoming meetings, or piled up work. And I think that's why we do so little of it. Don't get me wrong, we talk a lot. We share of lot of things. Just look at how much is posted to social media on a daily basis. Everyone is vying to be heard but view are listening. That's about the same as rating the organization as average but every employee as above average -- it doesn't add. To listen, you have to stop talking. I don't post as much as I used to and I doubt that many people have noticed. We're bombarded with information continually. There are more blogs than we can possibly read. So I've chosen not to add too significantly to that pile and instead, read and listen more. So why this post? Some of it was guilt. I looked at the last blog post on this website and realized it had been seven months. Now I have done two posts on Linked in during this time, on building and enhancing your character. You're welcome to read those -- they really are quite good. And some part of it was to encourage you, should you wonder onto this page, to commit to spend more time listening. Listening is one of the most important, transformation actions you can take within any of your relationships. So practice it today. Slow down and listen (and then you can swipe, tweet, chat, like, snap, pin). Priorities!! Lights, sounds, and action surround us 24/7. In the midst of this constant sensory buffet, the value of embracing silence has been lost. Silence has become uncomfortable; a void to be filled with something -- a text, a snapchat, a tweet -- something. And I can't help but wonder, what would happen if our devices suddenly stopped working. What would people do if they found themselves disconnected. Would they pick up a book? Talk to one another? Or would they embrace the opportunity to be alone with themselves? Would they take a quiet walk with just your thoughts, no music or podcast to occupy their minds? Would they spend some time looking up at the clouds or the stars in the sky? As much as I'd like to believe they would. I know the answer for most is that they would not. Embracing silence is scary to most but it need not be that way. There is value in silence. Silence clarifies. Silence magnifies. Silence settles. Silence shifts priorities. Silence is a powerful force equally available to all. It doesn't discriminate. And yes, that includes the mother with three screaming children. They do have to sleep sometime, and the laundry can wait for 5 or 10 minutes as you enjoy a few moments of silence. And yes, that includes the busy executive whose schedule is packed with meetings. At some point in time you have to switch location (I hope) and you can take 5 or 10 minutes during the commute to enjoy a few moments of silence. The power of silence waits patiently to be unleashed in the lives of any and all who would dare to stop and take notice. Are you willing to give it a try? I've just finished working through a book titled "The Sacred Slow" by Alicia Britt Chole. This book uses a series of 12 movements to challenge you to depart from the busy lane of fast faith to enjoy our relationship with God. Last month, I wrote about sacred rhythms. I had developed those as part of giving birth to my first book, "the Power of Rest". Now, I was relaunch Petra Learning, I have the opportunity to do so in a way that honors these sacred rhythms. I'm excited about the possibilities. I'm excited about having boundaries. I no longer look at boundaries as limiting but as empowering. Boundaries allow me to say yes to the things that matter. Boundaries allow me to maintain healthy margins. Boundaries help you to live out the abundant life God has handcrafted for you. Helping people find this life is why I became a life coach. It's why I mentor and teach. And so I write this post today to share with you my commitment to your health. I don't do this to try to score likes or to get wealthy. I do this because I want to see you SOAR. I want to see the GREATNESS that is in you fully manifested. The top priority of a Christian business leader is soul care. Leaders need to "be" before they can truly "do" what God has called them to do within the marketplace. From Petra's official beginning in 2011, God has been working on who I am even more than what Petra does. The time I spend conversing with God is what qualifies me to lead in the marketplace. It's not title, or education, or experience that qualifies me to lead. Those things may qualify me to perform particular services -- you don't want just anyone coaching you or designing and leading training courses. But leadership is not about any of the things we "do". It's about the influence we wield. I've spent the last year nurturing my relationship with God. This wasn't about solidifying my identity in Christ, I know who I am and whose I am. This was about soaking in God's word and spending extravagant amounts of time in listening mode. This was about stepping away from the work of the business for a period of time to just be. It was a Sabbath year for me. And it has been incredible. My sacred rhythm has become more and more defined as I spent 2-3 hours daily in devotion, worship, prayer, listening, and reading time. Monthly immersions, quarterly conferences, and an annual retreat rounded out my sacred calendar. Now, as I delve back into the work of Petra until my next Sabbath year, the challenge for me will be to maintain this sacred calendar regardless of the business opportunities that materialize. I owe it to myself, my family, my community, and all those I serve and lead. And I would challenge you to the same. If you don't have a sacred calendar, develop one. If you do have one, stick to it. It doesn't need to look like mine -- but you do need it. you ate a meal without checking the clock? you spent a whole day enjoying a hobby? you took a vacation and disconnected? you had an unstructured, untimed conversation whose sole purpose was to get to know a person? If you have to think a long time about those questions, it's been too long and it's hurting your performance. The journey to get here was difficult; not because of time or money commitment but because it required a new type of thinking and a breaking of bad habits. I had to adjust my definition of success. I had to let go of business associations and community leadership roles in order to simplify my life. 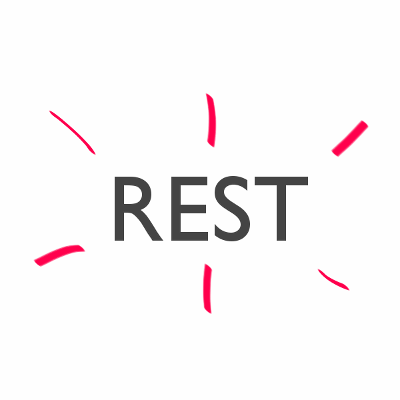 It's a process I talk about in my book the Power of Rest, should you have more interest in the topic. But even if not, know that you have the ability to live life from a position of rest, if you're willing to pay the cost.